The intensive jewellery courses are workshops with personalized curricula, designed to meet today’s needs for intense, specialized, individual coaching. The programs range from a sneak peek into jewellery making to highly specialized professional training. The proposed curricula function as guidelines to be further discussed and fine-tuned with teachers and staff to meet each student’s specific need. A very flexible schedule allows students to individually choose the course dates, beginning on Mondays and ending on Fridays during the entire year. The weekly course schedule comprises 30 hours of practical jewellery making and sometimes two hours of analysis and creative advice. Beginners, designers, professors, jewelers who want to specialize on a specific technique, or jewellery artists that necessitate a period of full immersion to have new creative stimulus. DATES: The courses have open dates throughout the year, beginning each Monday. Schedule: 30 hours of class per week. Critic session will be plan. The goal of this course is to provide the knowledge and tools required to design and create a first collection of jewellery, using basic jewellery-making techniques such as cutting, filing, soldering, shaping, and finishing. In addition to traditional techniques, students will be given the option to experiment with materials and techniques specific to contemporary jewellery. This course offers advanced jewellery-making techniques, both classical and contemporary, with a focus on mechanisms, closures, and hinges, hollow constructed rings/bracelets with collets for different cuts of faceted stones, use of micro-flame, and welding. This program focuses on surface treatments and finishing techniques applicable to different metals such as copper, silver, shibuichi, and shakudo. According to the specific properties of each metal, there will be exercises on hot gilding (Keum Boo) and cold gilding, patinas and oxidation, cuttlefish casting, and impression on laminated plates. Epoxy resin is an extremely versatile material often used in contemporary jewellery-making. This program is focused on the creation of jewels or parts of it with different types of resins, starting from the planning and construction of a mold to the actual casting process and the various techniques of enclosure, coloring, surface treatments, and finishings. The focus of this program is to test and explore material and form. What happens to form when the material changes? What tools and techniques are required to manipulate a material? The program is targeted to the creation of jewels and/or objects made with materials that differ from those used in classic jewellery. 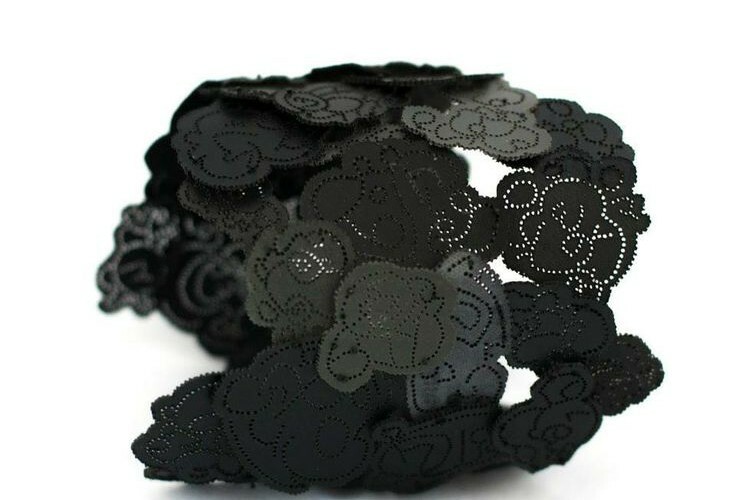 Unusual metals, plastic, wood, paper, and textiles are selected, prepared, and processed, taking into account their characteristics and versatility in order to design and create a collection of jewellery. Fabrics and precious metals seem to be total opposites, but despite their obvious differences, they have similar properties: bBoth are pliable and elastic and can be stretched and manipulated. Metal sheets and wire are suitable for numerous textile techniques such as knitting, crocheting, weaving, and interlacing. This program will introduce and teach the various methods most appropriate to make jewellery. This course is designed to provide knowledge of precious metals and alloys. The properties of these materials will be studied, and jewellery pieces will be created by combining different metals such as silver, gold, iron, corten steel, copper, brass, shibuichi, shakudo, and tin. Particular attention is given to practicing specific soldering techniques and to studying hot joining (welding) and cold joining (rivets). Required materials (except gold and gems) are included in the course fee. All required tools are provided by the school.